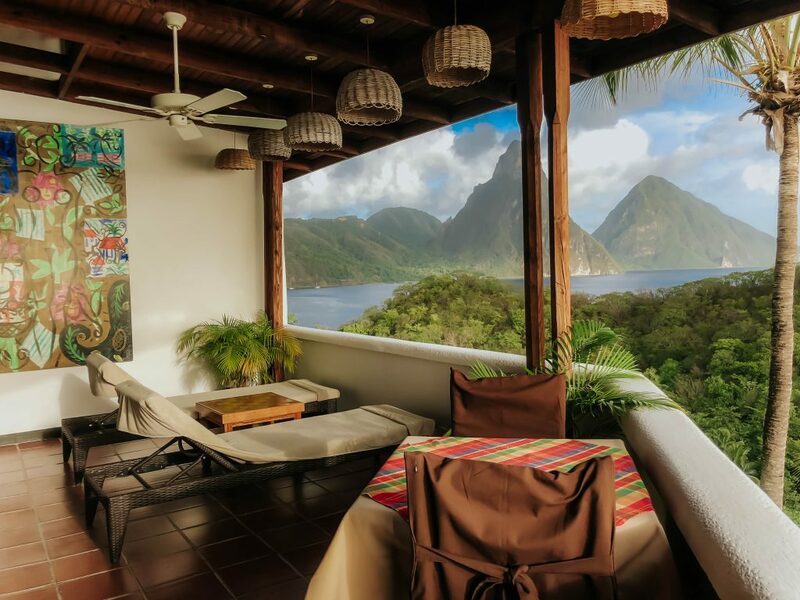 Incorporating the natural elements effortlessly into its architectural design, Anse Chastanet is a unique offering in gorgeous Saint Lucia. 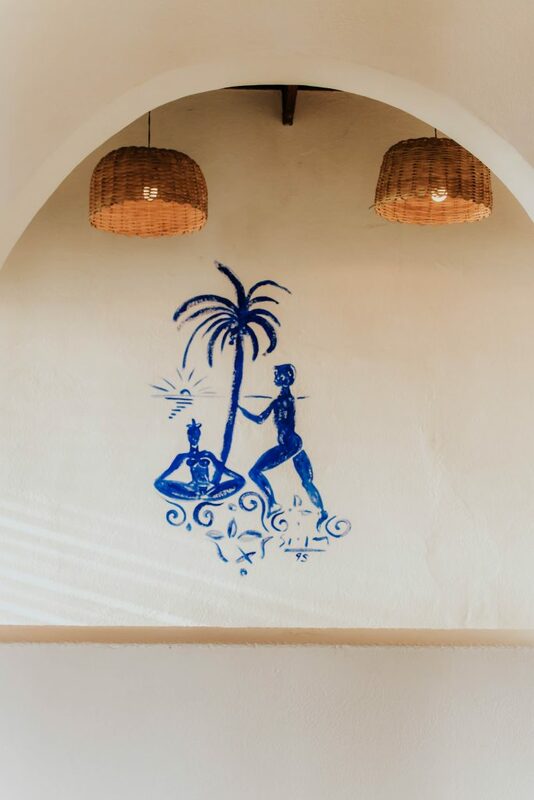 Everything about the resort exudes charm and personality; from the unique and rustic room décor to the informal friendliness of the staff. 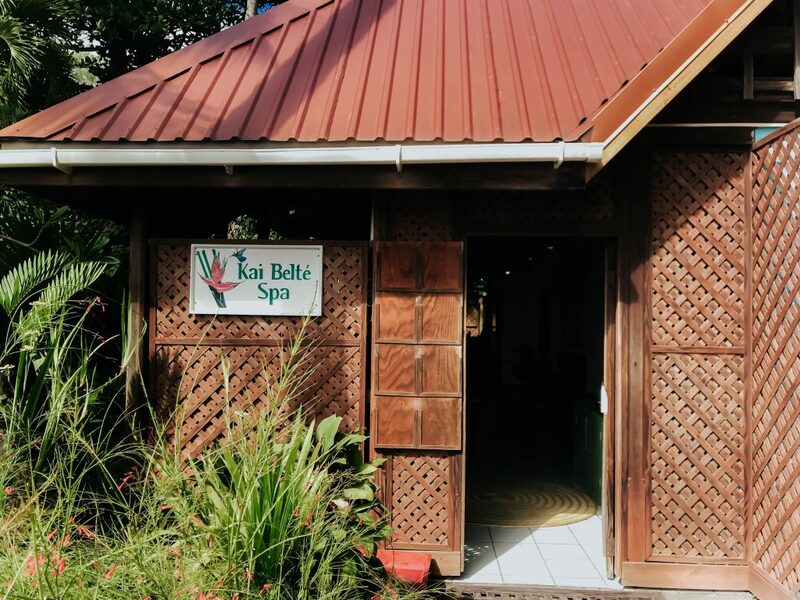 While the resort may have some quirks, it certainly does not skimp on luxury or service. As soon as we arrived, we were warmly welcomed by the front of house staff and offered a refreshing welcome drink. 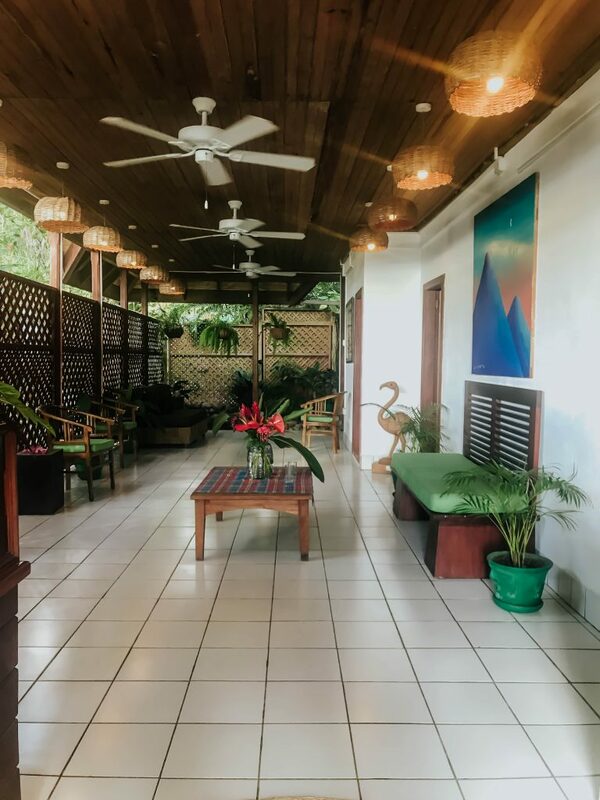 At check-in, we were also given a brief overview of the resort and its facilities, before we received a mobile phone to enable us to contact the staff at any time should we require anything such as a shuttle to the beach or room service. I was immediately impressed by this, and how committed the resort was to make our stay convenient and enjoyable. We were then asked if we would prefer to walk or take the shuttle to our room up the hill. We chose the shuttle and were soon at our Premium Hillside room . 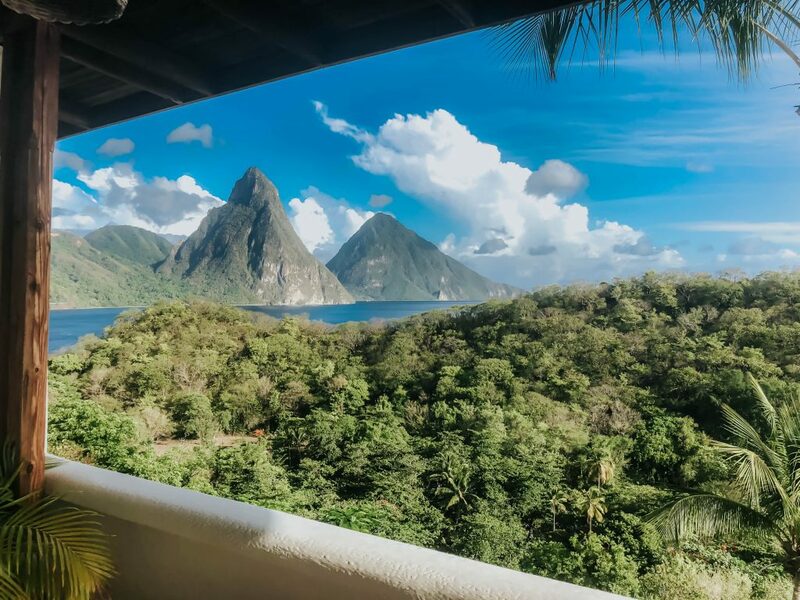 As the staff opened the door to our room, I felt my heart leap as I gazed out over the mesmerising Pitons right out of our windowless room. It was undoubtedly one of the most spectacular views I’d ever seen. 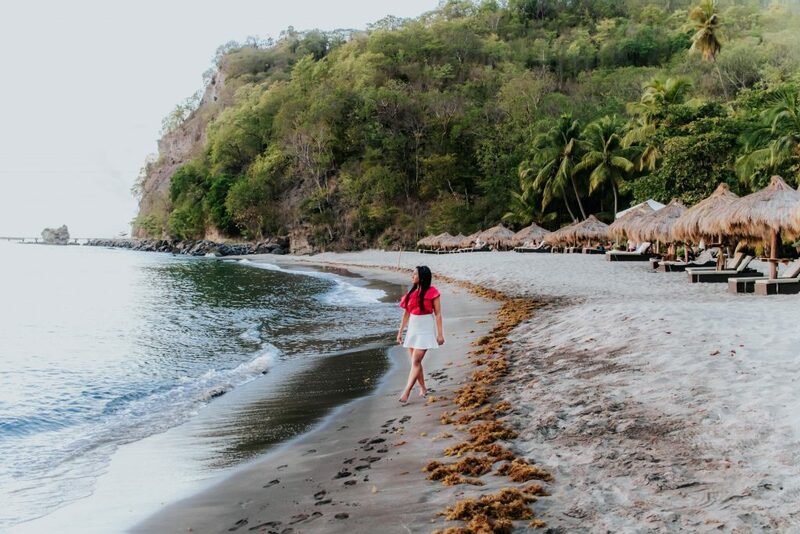 Anse Chastanet is a dream for anybody who loves nature or prefers to forego the stale or monotonous. 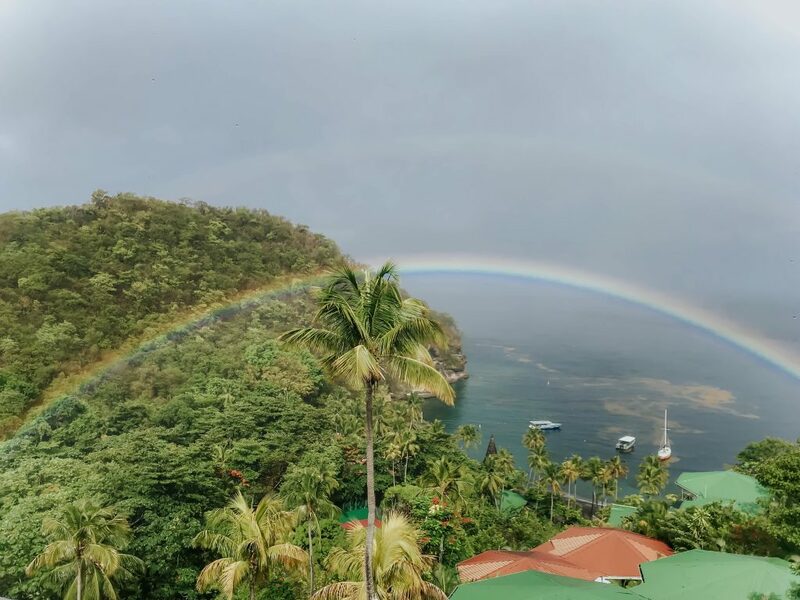 The resort sprawls over 600 acres, blending in with its surroundings and being nestled amongst the charming jungle-covered hills that overlook the beach and mountains. 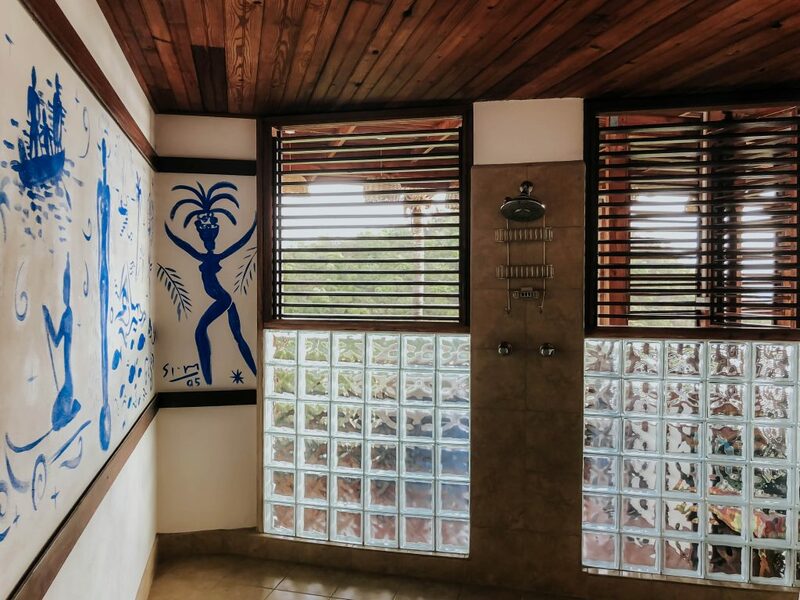 It is no surprise to hear that the resort is the beloved vision of architect owner Nick Troubetzkoy, who was a pioneer of sustainable eco-tourism and has made every effort to respect the natural environment that surrounds and cloaks the resort. The result is a charismatic, charming resort that sings fantasies of romantic escapes and seclusion. 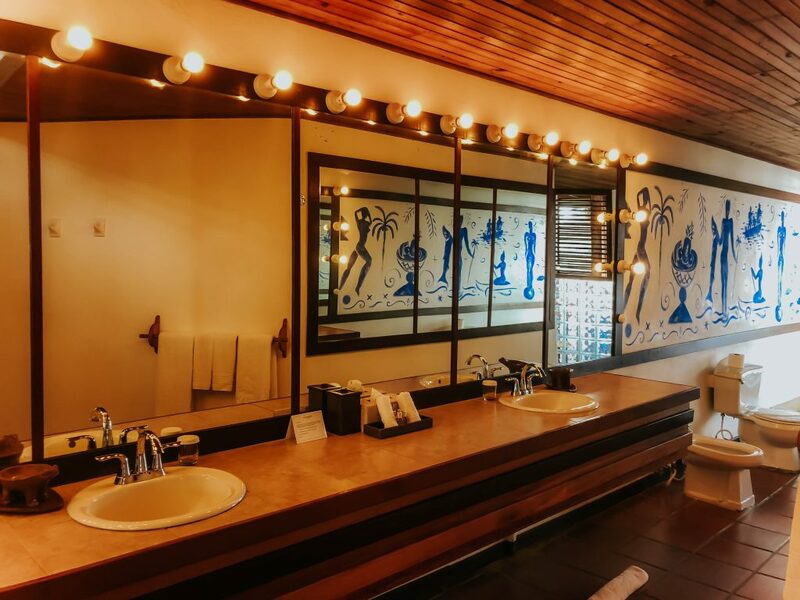 While the resort itself is beautiful with all the features you’d expect such as a spa and various dining options, the design allows the environment, and this is one of its most appealing features. All in all, Nick Troubetzkoy has created something truly unique and memorable, with rich architectural features and interior design that draws on the colours of the environment and local culture by featuring beautiful wood panelling and dashes of green and ochre. It is no wonder that it was named one of the world’s best resorts by Conde Nast Traveller. From the moment that the front door opened and the mesmerising view of the Pitons unfurled in front of my eyes, I knew that this would be a special place to stay. 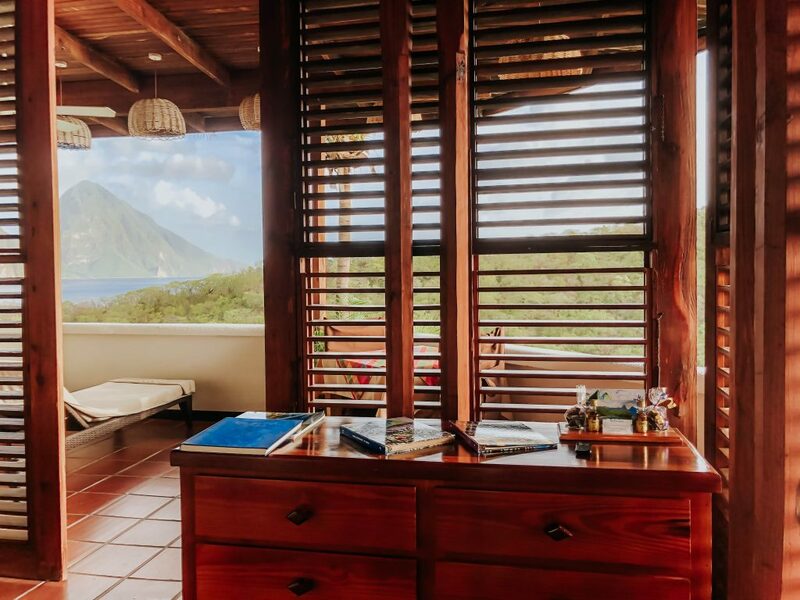 Keeping with the resort’s unique character, the room, in fact, has no walls, meaning there is a spectacular uninterrupted view over the volcanic spires that make up the Pitons. It is one of those pinch-yourself views that I could barely believe was real! In the moments that I could draw myself away from the view, there was plenty else to enjoy in the well-equipped room. 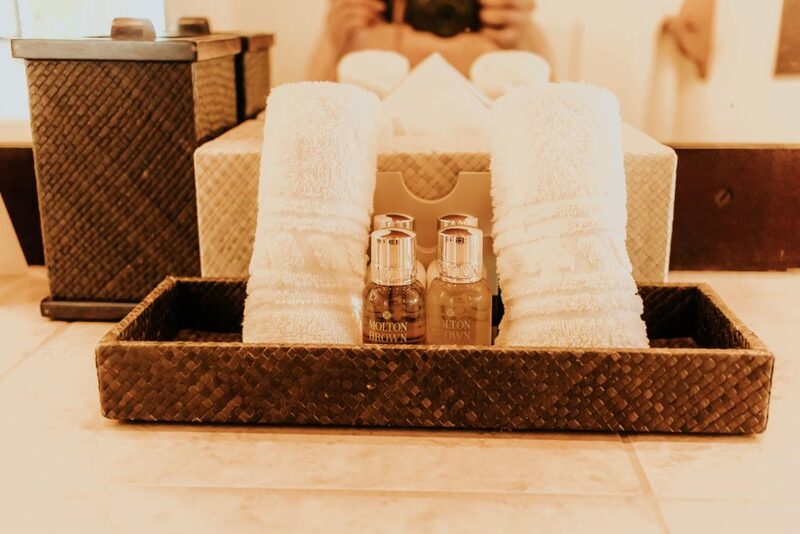 At approximately 700 square feet, the rooms are spacious and feature luxurious touches such as handmade bathrobes and Molton Brown amenities. There is also a tea/coffee/espresso maker, where you can make a coffee to enjoy on the sprawling balcony while soaking in the incredible views. There is no television or radio so as not to detract from the views and opportunity to spend quality time with your loved one. 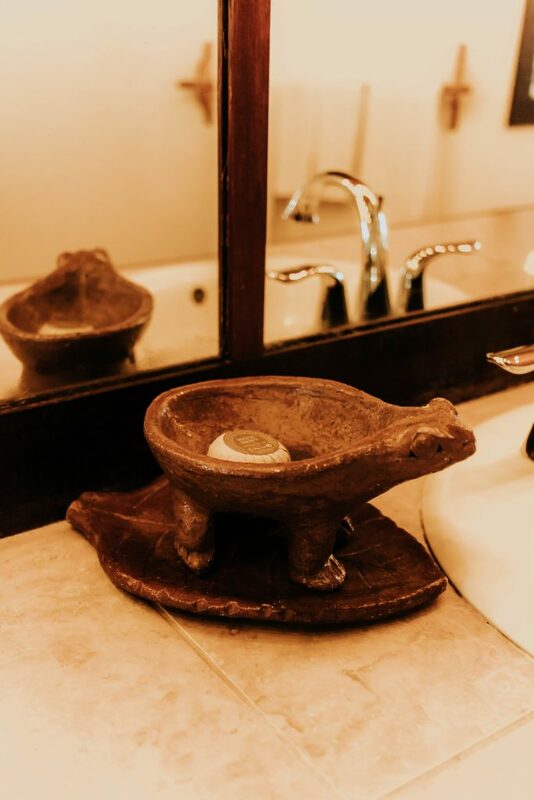 The décor is consistent with the rest of the resort, featuring heavy doses of natural textures such as wood (sourced locally) and rattan. 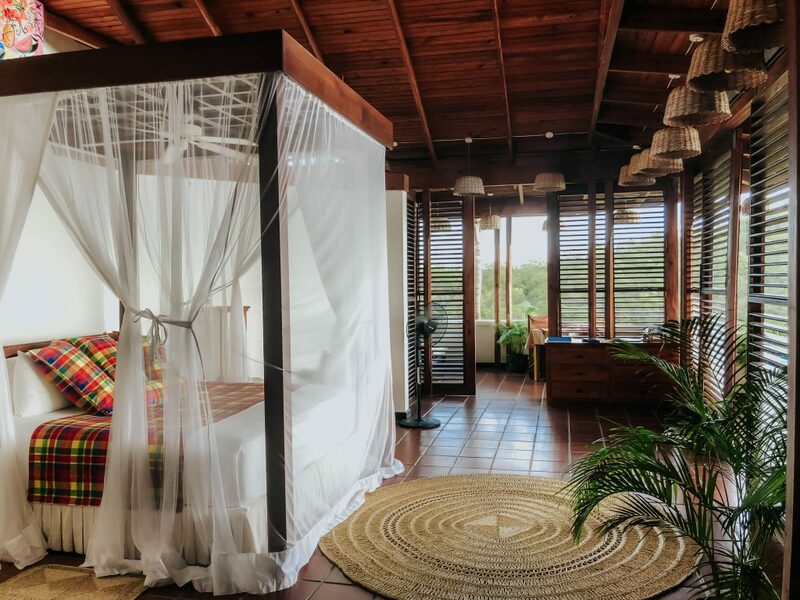 Cushions and the bedspread are made from the striking ‘madras’, colourful cotton that is known as the national cloth of Saint Lucia. 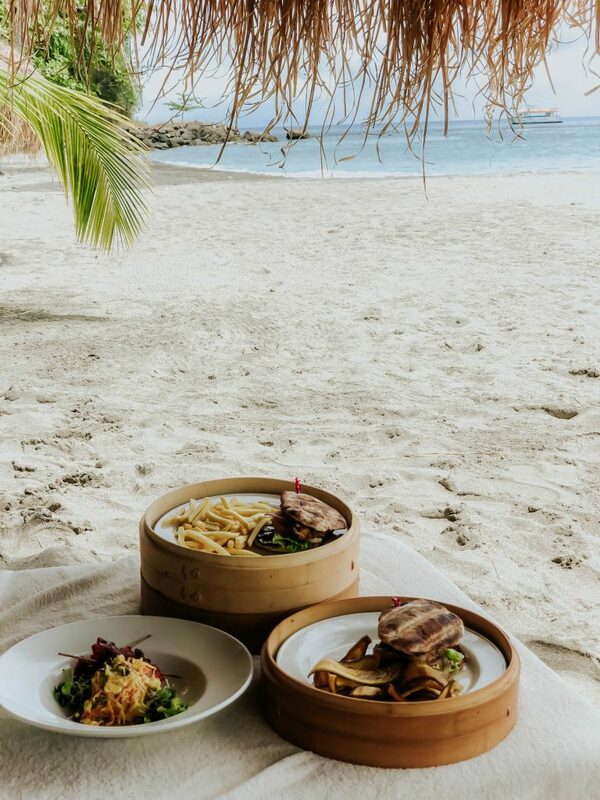 Nick Troubtezkoy’s vision extends beyond the resort’s architecture and into its dining options – they are each charming and charismatic in their own right and feature sustainable produce sourced from the resort’s organic farm. 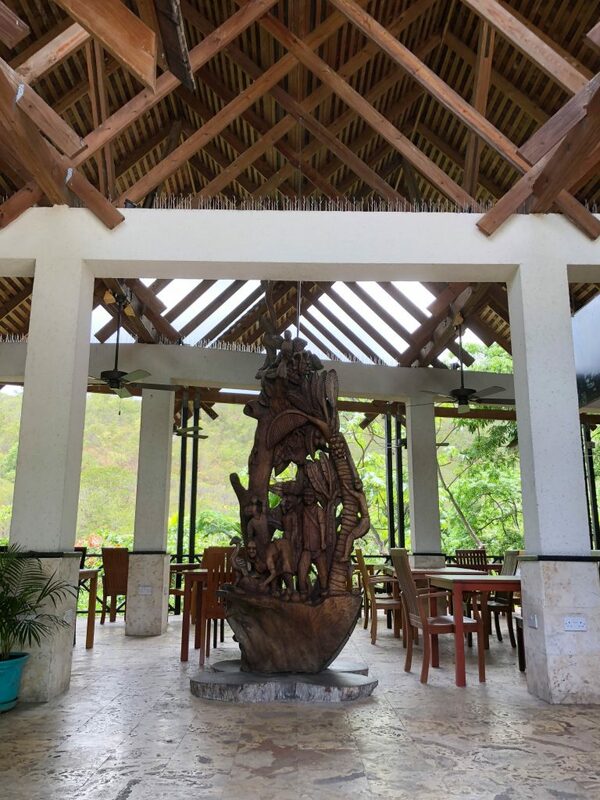 On our first morning at the resort, we had the buffet breakfast at the Tree House, which strongly appealed to my creative and whimsical side as it is an open-air restaurant that overlooks the lush native vegetation. The buffet offered many options including Continental and American breakfasts, as well as delicious local fruits. At night we returned to the Tree House for dinner by candlelight. 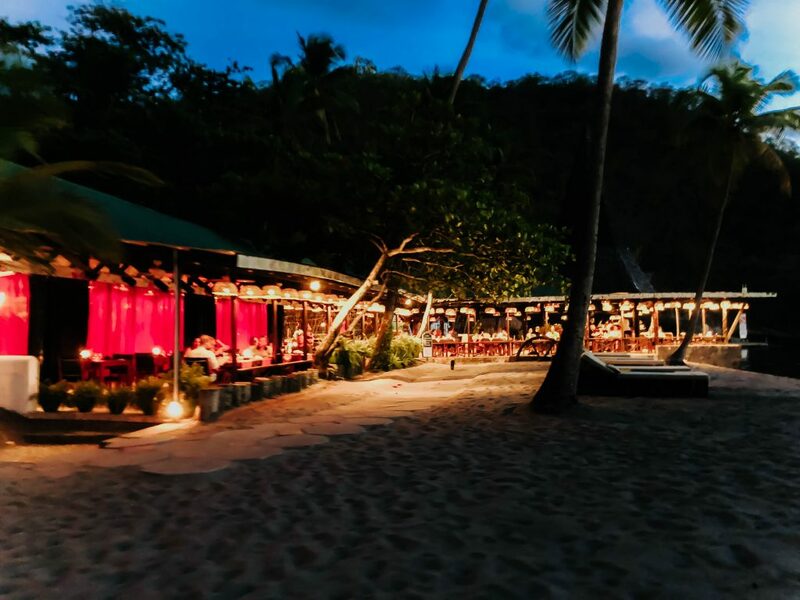 The menu is ‘tropical world cuisine’, with an innovative menu that changes often depending on the season and whims of the passionate chef. 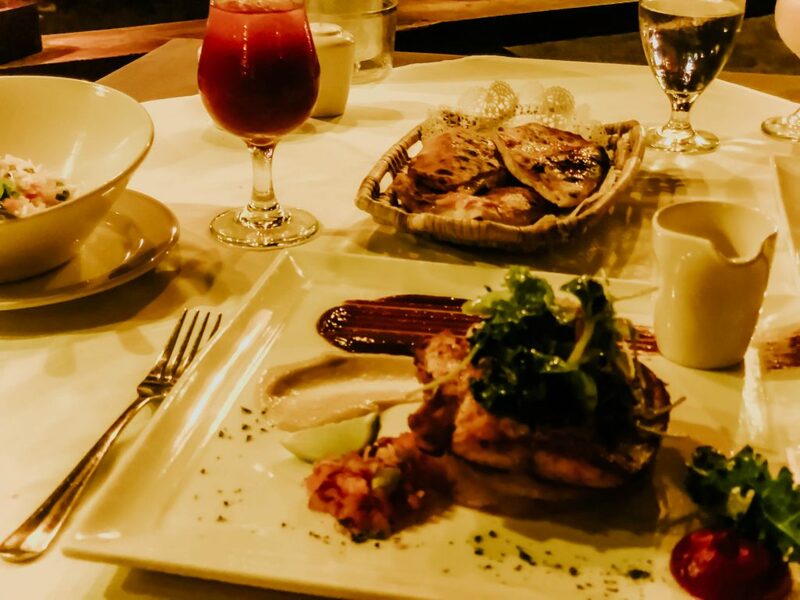 We sampled a range of options including the prosciutto wrapped shrimp and tarragon roasted red mangrove snapper, which both melted in our mouth. 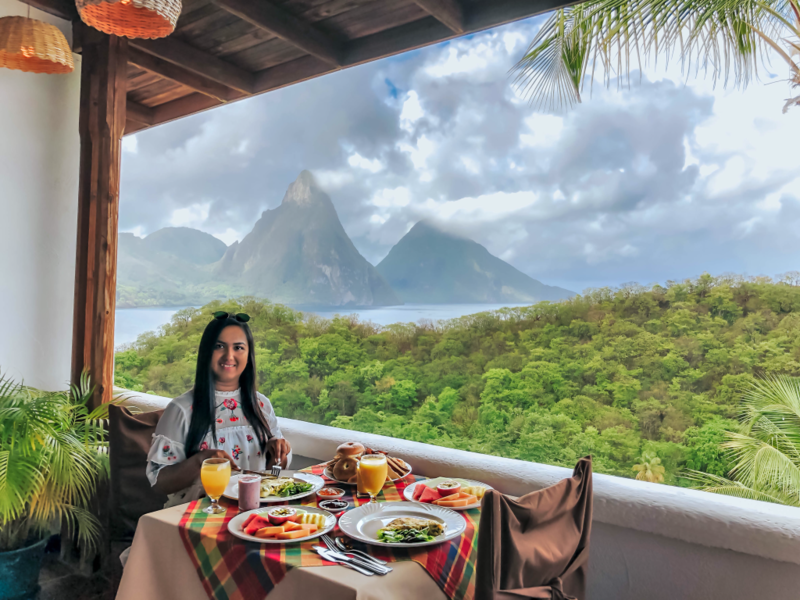 On our second morning we started our day with a room service breakfast that we enjoyed overlooking the glorious Pitons; like the Treehouse, the menu offers many continental and American options. 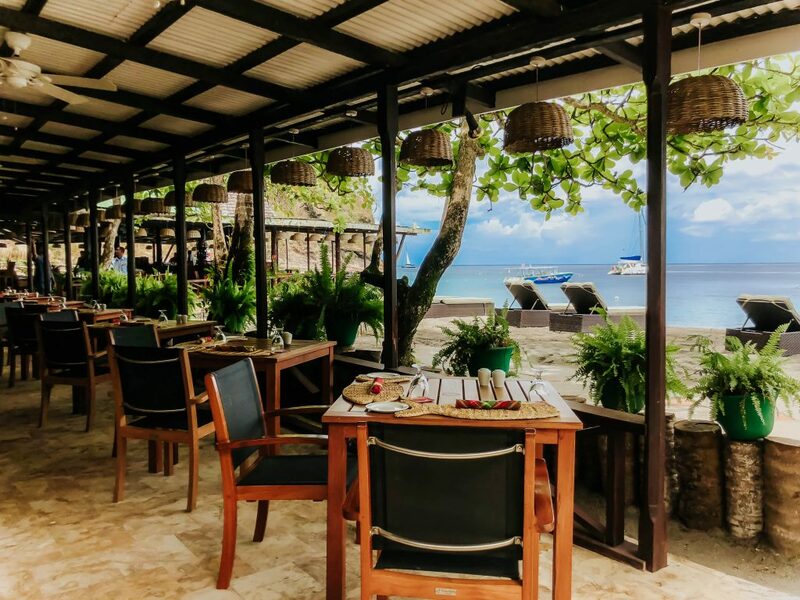 For lunch, we dined at Trou au Diable, which is a gorgeous restaurant located just metres from the beach. 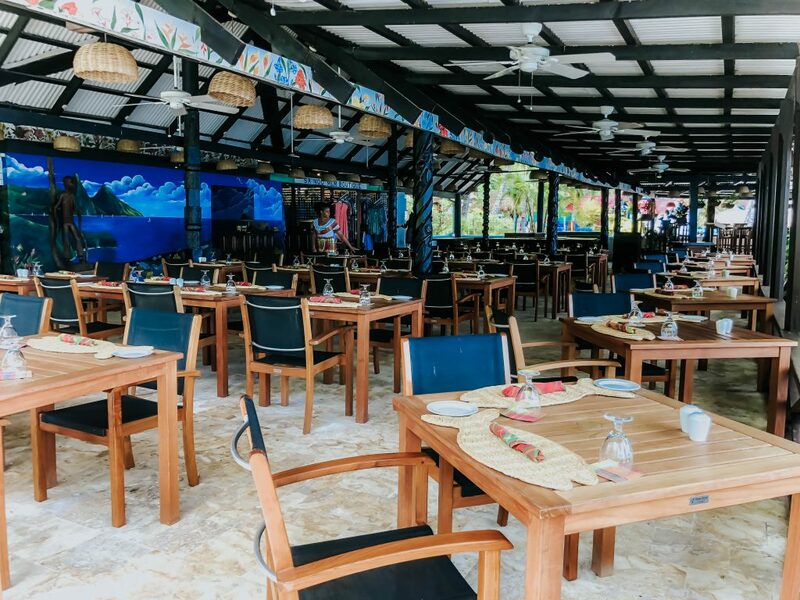 The beautiful beach views give it a lovely laidback atmosphere and we enjoyed the relatively vast international buffet menu that featured dishes from all over the world as well as some Carribean and Creole favourites such as Ceviche and Carribean wings. By night, it serves a hearty grill menu. 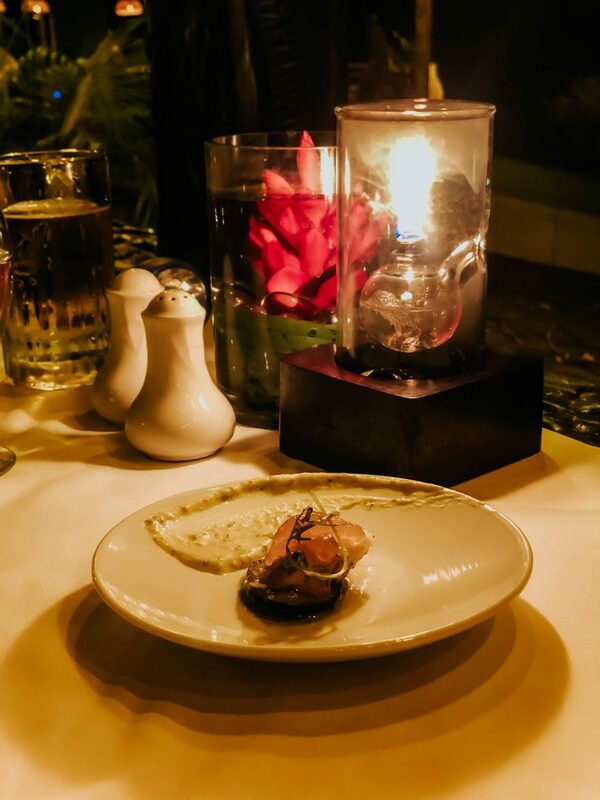 At night, we visited Apsara, which innovatively blends East Indian and Saint Lucian cuisines, paying homage to the long historical ties between the two regions. The result is a delicious and unique menu that draws on the flavours of both areas, offering dishes such as Apsara Jingha, king prawns in coconut, Chandon benee and chickpea batter. Ayurveda healing principles and traditions, and feature ingredients from the resort’s organic farm. 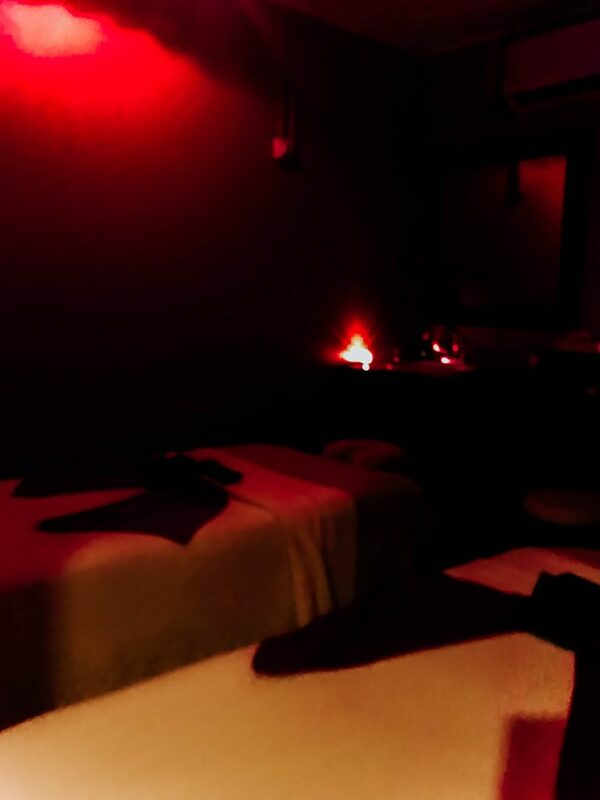 The 60-minute couple’s Swedish massage was a real treat, and we certainly left feeling relaxed and rejuvenated. 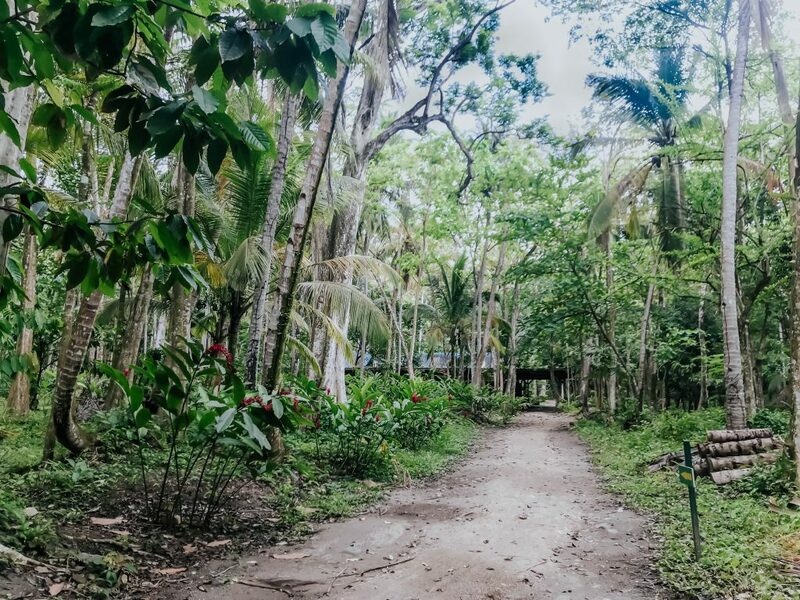 With more than 600 acres of beautiful nature to play with, it is no wonder that there is no shortage of nature-inspired activities to enjoy while staying at the resort. Most feature the two beautiful beaches; however, there are also a plethora of watersports and other excursions to enjoy. While we did not get to try everything during our stay, we did get to try a couple of the activities on offer. 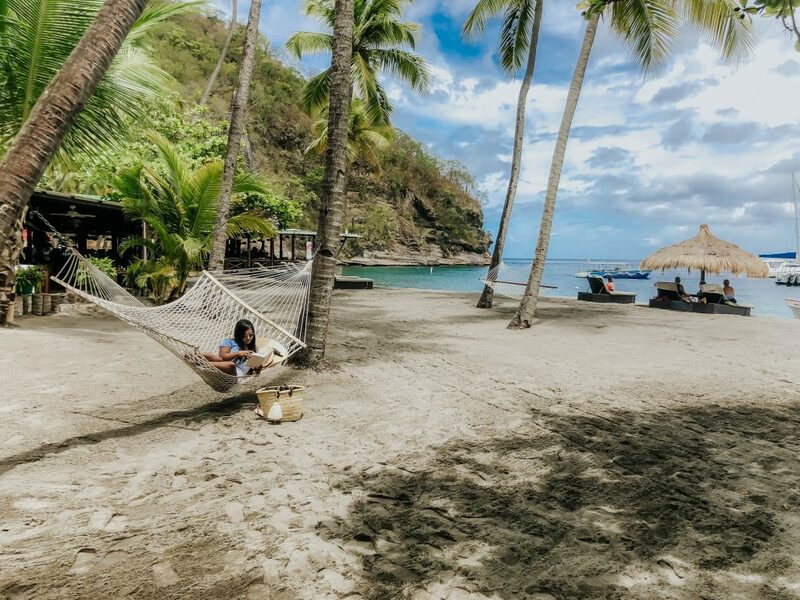 With lush jungle and a stunning view over the Pitons, the Anse Chastanet resort also boasts a location that is right in the heart of Saint Lucia’s marine reserves. 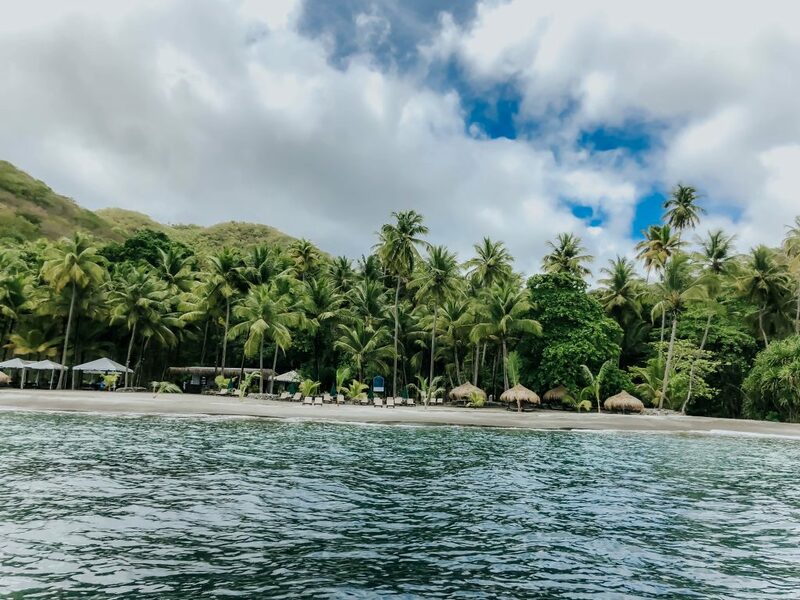 As a result, it offers amazing snorkelling over the Anse Chastanet reef, which starts just metres from the shoreline, as we discovered on our snorkelling trip. The reef offers an incredible diversity of tropical marine life, with more than 150 species of fish found in the stunningly clear water. Even inexperienced or nervous snorkeller like me was able to see a fantastic array of species in the shallow waters, including colourful peacock flounders, octopus, needlefish, and charming turtles. 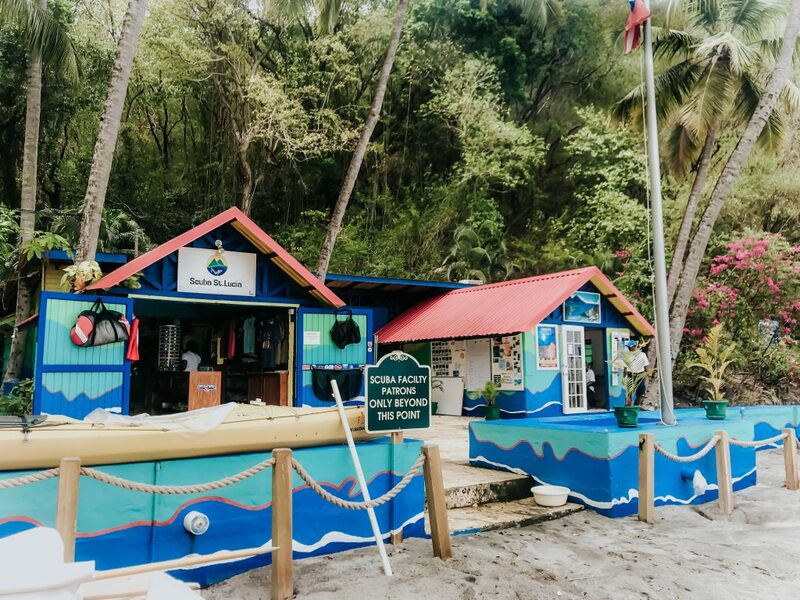 A bit deeper, there is even more diversity with the possibility of sighting other species such as puffers, moray eels, parrot fish, lobsters and even sea horses. The resort is undoubtedly a diver’s – and photographer’s – dream. 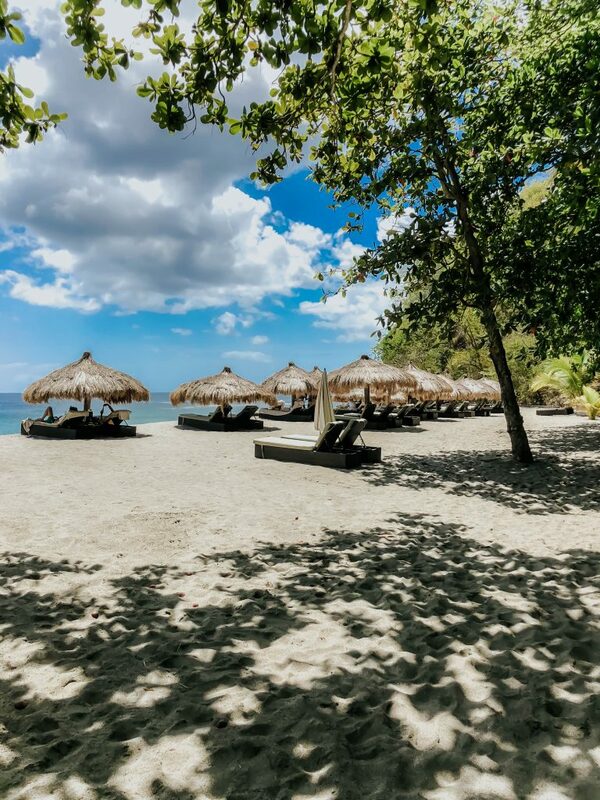 Of course, one of the biggest drawcards and feature of the Anse Chastanet resort is the opportunity to laze in the warm sun by the beach. 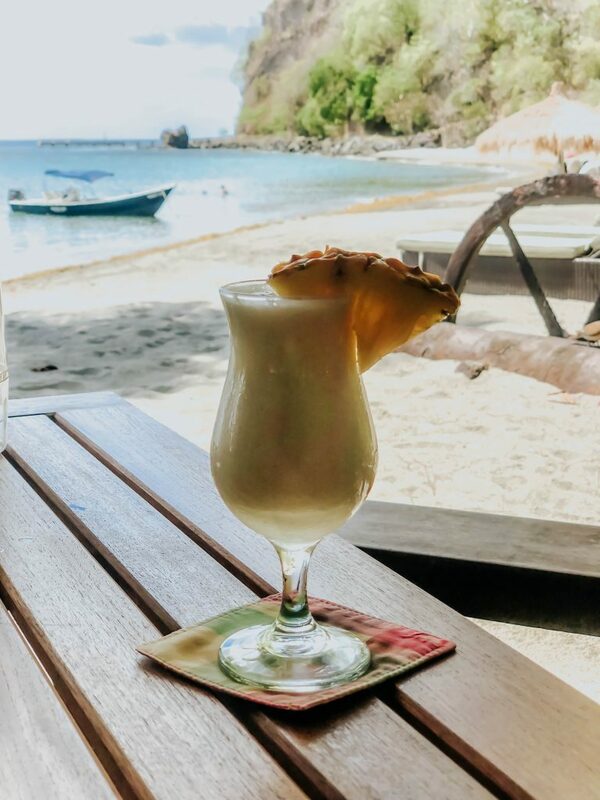 On our first day, we took the opportunity to do just that and enjoyed the main resort beach, which features relaxing palm-thatched beach huts, beach lounge beds and towels. 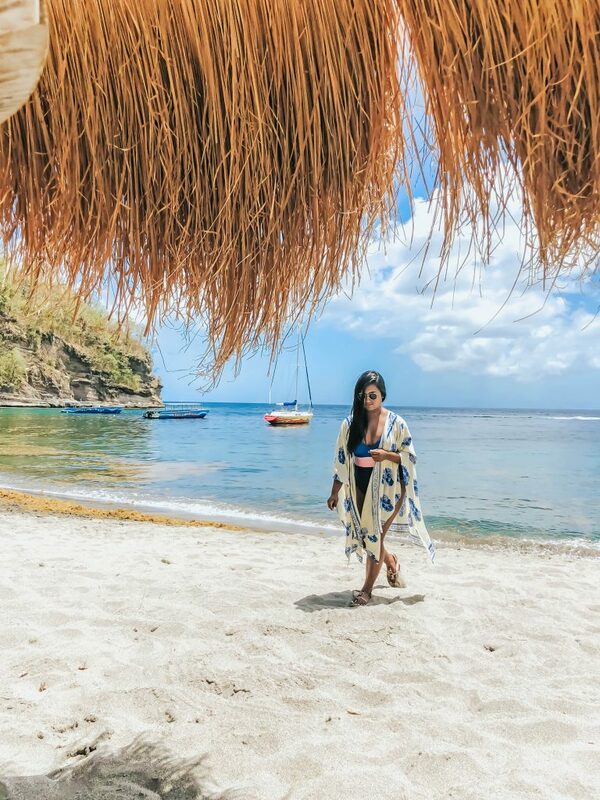 There are also friendly beach butlers who bring tasty snacks and refreshing drinks right to you to enjoy, as well as little extras like cool minted towels, sorbet and fresh fruit. Although I didn’t try it, I also hear that there are foot massages on offer if requested! 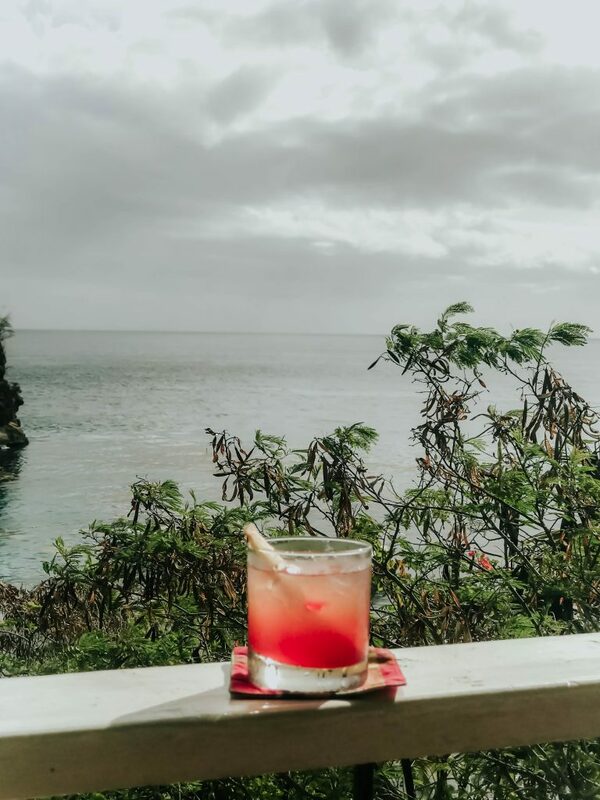 Impressively, the resort offers not one but two beautiful beaches, and on the second day, we spent the afternoon at the Anse Mamin Beach, which is a ten-minute walk or pleasant water shuttle ride away. Unfortunately, we couldn’t fit the actual bike riding into our stay (as we spent only two nights). However, we did get a tour and explanation. 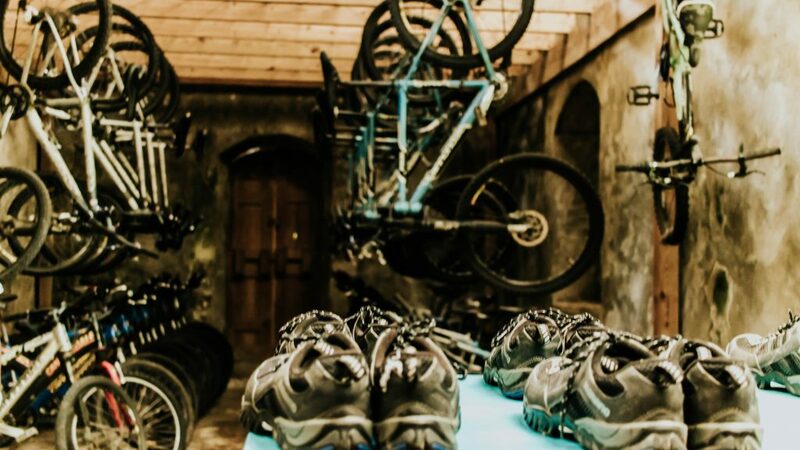 The jungle biking is a unique offering in Saint Lucia, with over 12 miles of expertly designed trails that suit everyone from inexperienced to professional cyclists. 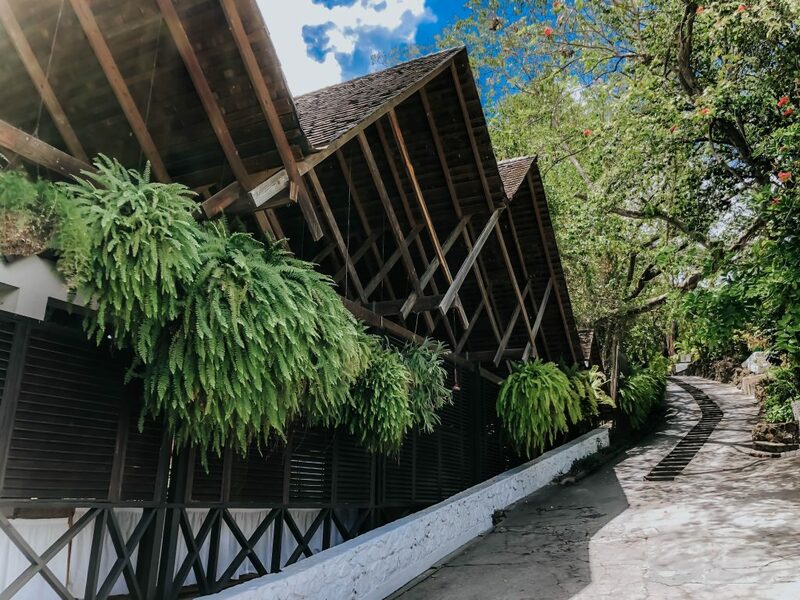 The trails snake through the jungle of one of the oldest plantations in Saint Lucia, so it is also a fascinating way to learn about the history of the area. 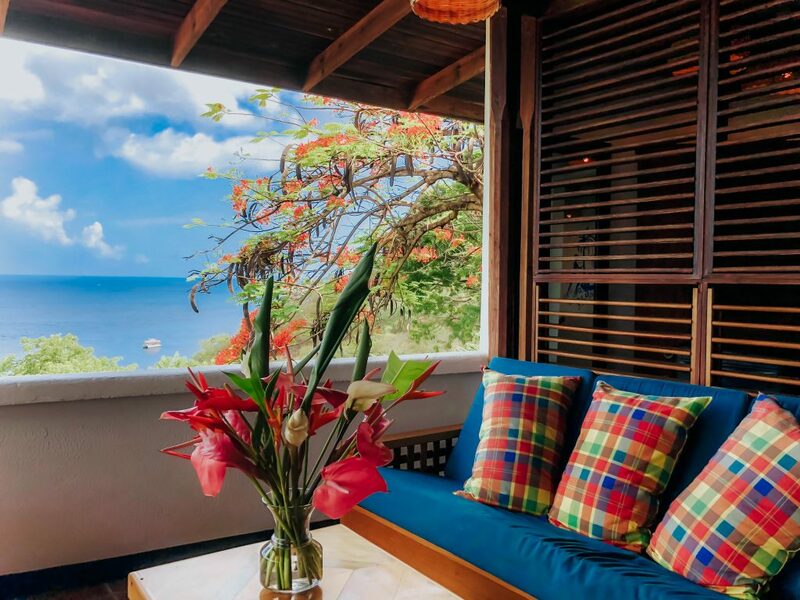 If I ever get the chance to return to Anse Chastanet, it will be high on my to do list! 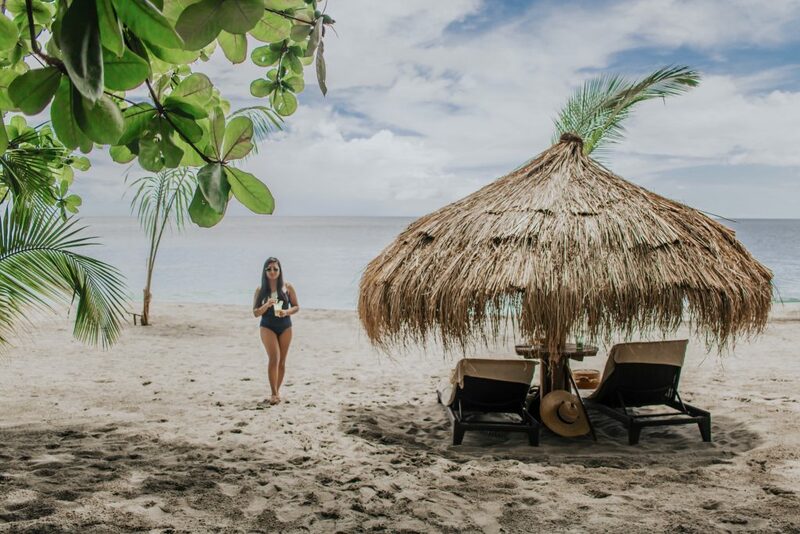 It is not easy to take a risk and do something completely out of the ordinary – however, that is just what the visionary owner of Anse Chastanet has done, and the result is one of the most breathtaking and incredible resorts I have ever visited. 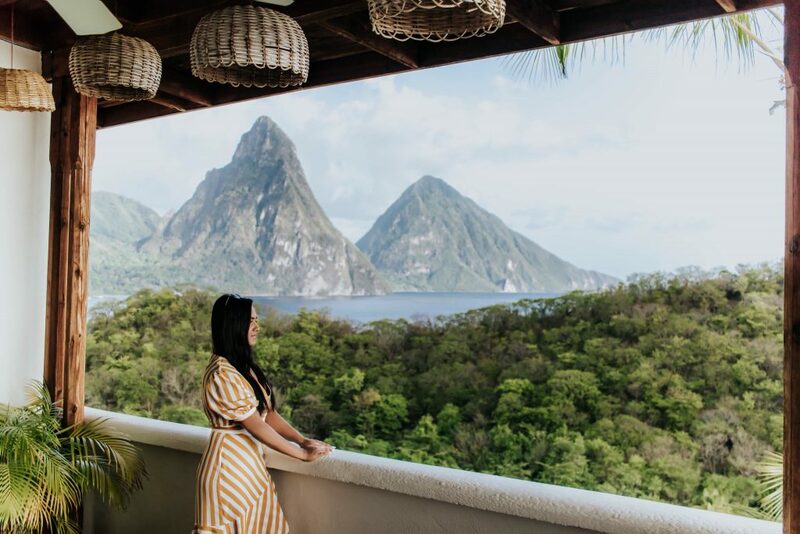 Every detail, from the local fabrics used in the bedding to the refreshing towels on offer to the ‘beach butlers’ is well thought out – but it is the mesmerising views over the volcanic spires of the Pitons which I will surely never forget.